Since early childhood, Alexis Wilt consistently demonstrated a drive to succeed. The Air Force dependent performed well academically and remained active in various sports organizations. Although several of her extra-curricular interests have changed over time, her main goal has remained the same. Alexis wants to become an attorney. In preparation for college, Alexis took several law classes and spent the past two summers working in a law firm. Through the firm, she was given the opportunity to participate in Teen Court. This alternative to juvenile court allows first time offenders to be represented, judged, and sanctioned by their peers. With the guidance of an attorney, Alexis represented peer clients while gaining firsthand experience with court procedures and the legal system. Now, with the assistance of a $3,000 Harry C. McPherson Jr/ThanksUSA scholarship, Alexis has begun her Pre-Law major at Florida State University. Embracing all that FSU has to offer, Alexis has become very active on campus. 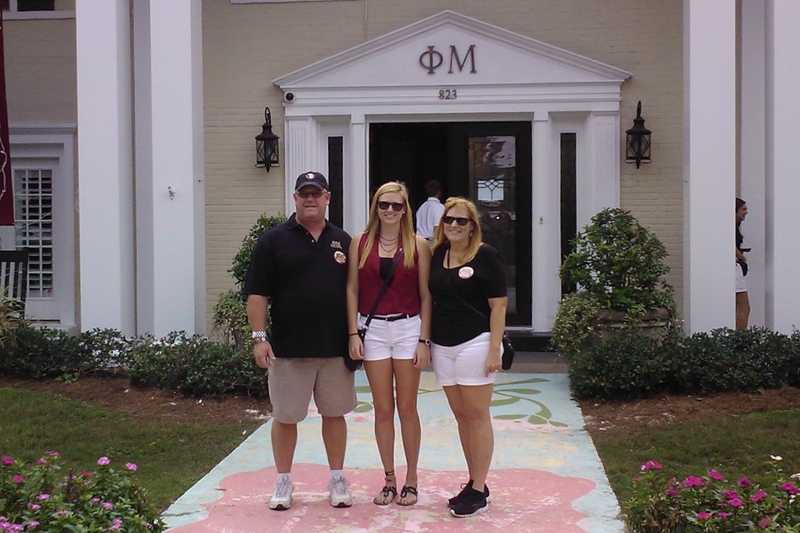 She joined the Phi Mu sorority, participated in many campus activities like spirit week and homecoming, and has dedicated dozens of hours to community service. She played intramural volleyball and is a member of the FSU club softball team. Alexis is proud to report that she made the Dean’s list and wrapped up the fall semester with a 3.94 GPA. Upon completion of her undergraduate degree, Alexis plans to attend the Stetson University College of Law to earn her Juris Doctorate. Alexis says that her dream job would be working with the State Attorney’s Office as a civil rights lawyer. She is certainly a deserving representative of the Harry C. McPherson Jr/ThanksUSA scholarship! The ThanksUSA team wants all college bound military dependents and spouses to apply for a ThanksUSA scholarship. Applications for the 2013-2014 ThanksUSA scholarship will be accepted between April 1 and May 15 of this year. It’s not too early to register for a reminder – just click here. Please make sure to share the link with military families. The first Phase I winners of TH5 have been notified! A high school class from Ohio has won chapter 1 and a youth group from TX are the lucky winners of chapter 2. Your school/youth group can be our next winner! Just submit correct answers to chapters 3 or 4 by March 18th. The anagrams provided in this chapter will help you identify correct answers right away. As always, if you’re having difficulty with Alabama or any other chapter, please leave a comment on the TH5 blog, post your question on our Fan page, or send me an email sherrykoch@thanksusa.org. For additional African American History Month resources, I recommend visiting the Library of Congress website. Good Hunting!